The United States and the European Union have often differed over Middle East policies. 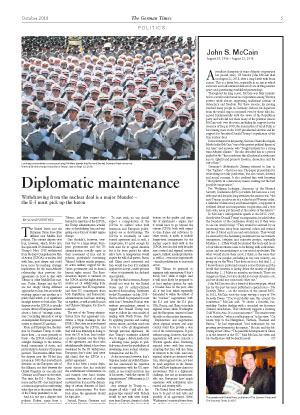 The current dispute over Iran, however, which broke into the open with US President Donald Trump’s May 2018 withdrawal from the Joint Comprehensive Plan of Action (JCPOA), or nuclear deal with Iran, goes deeper and could have more far-reaching strategic implications for the trans-Atlantic relationship than previous dis­agreements on how to deal with Tehran or other Middle East matters. Today, Europe and the US are not simply taking different approaches to Iran, but are actively working against one another in a policy field which is of significant strategic interest to both sides. The dispute over the JCPOA is actually a major driver of European debates about a form of “strategic autonomy,” including demands to set up an independent European payment system to thwart US sanctions. If only for this last reason, Europe should not wait for the United States and its self-proclaimed master of deal-making. Statements by the US president – in July 2018 – that he would be prepared to meet with Iran’s President Rohani even without preconditions seemed to suggest that Donald Trump may want to follow his own model of dealing with North Korea: Start by applying pressure and making serious threats, and then reach out to try to solve all disagreements through personal diplomacy. All that Trump’s statement achieved was to trigger a debate inside Iran – allowing some people to pub­licly muse about the possibilities of developing more normal relations between Iran and the US. At the same time, however, Iran’s Supreme Leader Ayatollah Khamenei has announced his rejection of negotiations with the US, especially, as one could read from one of his tweets, “with the current US administration” (@khamenei.ir, 13 Aug 2018). Any attempt by Trump to – despite all odds – pull off a Singapore-type summit with Rohani would be met with utter skepticism from Europe, America’s Arab friends and Israel alike. It is indeed hard to imagine that any bilateral summit declaration could produce more tangible achievements than a document as detailed as the 159- page JCPOA. A comparably strenuous yet more realistic approach would be for the Europeans, particularly the E-3, to start a new round of exploratory talks, and later negotiations, for what could in the medium term become a comprehensive security agreement with Iran. Such an agreement would not replace but build upon the JCPOA. It would have to come into effect by 2025 at the latest, when the first sunset clauses in the current JCPOA – limitations on the quality and quantity of enrichment – expire. And it would have to go beyond the current JCPOA both with regard to time frames and substance. In other words, it needs to include longer-term arrangements for the nuclear aspects dealt with in the JCPOA, but also deal with broader arms control and regional security aspects, ballistic missile production as well as – even more importantly – missile proliferation to non-state actors. Will Tehran be prepared to engage in such negotiations? I don’t know, but I think it might. And it will most likely be prepared to at least explore options for such a broader deal. In the past, after all, it was Iran which repeatedly demanded to widen the subject of the “nuclear” negotiations with the E-3 and later the E-3 plus USA, Russia, and China to include regional issues, while Washington and the Europeans wanted to limit the talks to the nuclear dimension. Explorations and negotiations about regional security and arms control could thus provide a way out of the current impasse. It goes without saying, however, that such negotiations will never concern a Western agenda alone. Discussing regional issues with Iran means accepting that Iran will also bring its interests to the table. 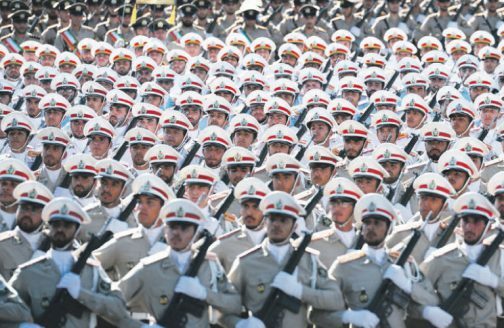 And once regional subjects are discussed with Iran, other regional states, not least its Arab neighbors in the Persian Gulf, will have legitimate claims for involvement. This is a diplomatic challenge, but not an insurmount­able one. Europeans have ample experience with multilateral arms control and security talks. is the executive chairman and director of the German Institute for International and Security Affairs (SWP) in Berlin.